– Engage European and international policy makers, particularly with the 2014 Europe elections in mind, concerning the positive role of culture as bearer of shared values, social cohesion, and economic growth. – Promote culture and creative industries as active drivers of urban development, ambition hold by the European network CATALYSE that associates the cites of Essen, Avignon and Bilbao, thanks to the support of the Culture Program of European Union. – Foster a spirit of openness, as well as a keen desire for culture and creation, within civil societies, corporations, and the political sphere, beyond the key issues of funding for creation, taxation of culture and the emphasis placed on monetizing personal cultural data (1). In addition, efforts of some new research papers by major consultants and research groups were also presented during discussions. It was a study by Louvre Alliance, a French strategy and management consulting firm based in Paris where Jacques Attali acts as the Chairman of the Supervisory Board. The study examined the concept of territories besides power and culture in terms of political philosophy. The selected images of significant art works and historical archives inserted in the report are also meaningful to understand their statement. (Download the study here). EY, a multinational professional service firm in assurance, tax, transaction and advisory service based in London, developed a research of Big Data collaborating with the Forum. This year they especially focused on personal cultural data and pointed out the difficulty of finding the right balance between privacy, innovation and discovering when the data greatly handles a movement of the market of digital media and creative industries sectors. (Download the study here). Bain & Company, an American global management consulting firm, presented a paper on changes in consumption: from home consumption to an individual and customizable one that depends more on social networks than on the word of mouth. (Download the study here).? Kurt Salmon, an international management and strategy consultant focused on business transformation, analyses a “value chains” of the cultural and creative sector, focusing on cinema, music, books and videogames in this paper. Assuming that the digital shift has brought major changes, this paper tries to understand which the most powerful link in the chain is and whether we can talk about a digital revolution or just a digital evolution. (Download the study here). L’Atelier BNP Paribas, a Paris-based media and consulting company, made a study on Big Data and the paradigm shift which caused to culture and economics. (Download the study here. Overview of the study in English at the end). 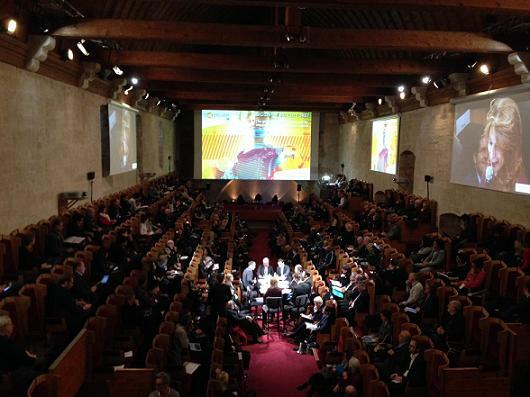 Features of the Forum d’Avignon 2013: How can we discuss the complex issue on culture? One of the specific features of the Forum is the wide variety of guests and the opportunities which they exchange their idea although they have different occupation and backgrounds. Between participants, there are writers, artists, journalists, musicians, poets, economists and cultural managers, film makers, current and former ministries of culture from different countries (France, Slovenia, Portugal, South Africa, Senegal and Palestinian), professors of universities, researchers, students, businesspersons and representatives of creative and cultural industry. Does it happen so often that French ministry of culture and one of great Italian Artists such as Michelangelo Pistoletto meet to discuss culture and power? Not really, but here in Avignon it quite naturally happens and the diversity between speakers make it possible to give wide view to solve current problems on cultural management which contains many elements over different fields like culture, politics, economics, communication and technology. (Watch the video of session 10 here). The general program of the Forum doesn’t consist of only debates, but also of some artistic performances concluding a special concert of the French band Nouvelle Vague at the Opéra Théâtre d’Avignon and “Hackathon” for culture and creation by young professionals and students directed by an Israeli conductor, Itay Talgam. Regarding artistic performances, this year we had three shows. The first one is “Joue-ire: Rouge (2013)” by Susanna Fritscher played by Helia Samadzadeh which blew liberal atmosphere into the strained congress room of Palais des Papes just after the opening ceremony. The second performance was a poetic performance by a Cameroon poet, Captaine Alexandre accompanied by guitar and oud. He participated into also the following debate and discussed whether we need counter-cultures today or not with Slovenian artist Jasmina Civic, French composer Pascal Dusapin and Director of Google Art Project Amit Sood. The last one was a presentation of the art project realized with few hundred hands of Renaissance painters by a French art historian Hector Obalk. This video presentation seems to be quite exceptional as an artistic performance but it shows that the Forum is provocative enough to change even the definition of what can be an ‘artistic performance’ today. (Watch videos here 1, 2, 3). Each performance continues just for 10 minutes but gives us great inspiration for next session. Furthermore, there were also multi-national cartoonists who were drawing cartoons dedicated to the argument during debates and uploading them on the screen immediately. Their works offer alternative ways to understand the topic and add lively movement to the sessions as well as tweets which are tagged #FA2013 (Forum d’Avignon 2013) and are also shown on the screen at once. One of cartoonists at the Forum, Liza Donnelly from US talks about the role of political cartoonists and how to utilize power of culture as below. While cartoonists are also observers like many other artists, their primal job is to give their opinion through their works with humor. She tells also that humor works in tandem with culture can solidify and break down cultural traditions. Furthermore, the cartoon can be strong (and attack injustice) as well as soft (to celebrate human goodness) (2). All these approaches are characteristics of the Forum and every element enable us to have a diversified way to think how we can face with culture and its economical and political issues today. On the second and third day of the Forum, there were two sessions where French Minister of Culture and Communication, Aurélie Filippetti joined in the discussion. Among them, the session 6 ‘Culture: the Youth’s Power’ held in University of Avignon with Slovenian Minister of Culture, Uros Grilc and Senegal Minister of Culture, Abdoul Aziz Mbaye was a dialogue with young university students. There were many simulative and straight questions by students and ministers answered them in turn. One of the keen questions here was made by a student from Sweden: “(Today) to me, I feel like to be a global citizen much more than to be a European, and many times more than Swedish actually. So my question is why it is important to protect the European or national identity in this globalized world.” While other two Ministers were overwhelmed with this asking, Abdoul Aziz Mbaye calmly started to answer with his life experience between Senegalese and French cultures pointing out the change of social system after 80s and the lack of identity after that. (Watch the video of session 6 here). Although the Forum is organized at European even international level, a great majority of participants are French or French speakers and this made the Forum be a unique event. Except non French speakers, both French and foreign presenters generally talked in French. So for this fact, discussions were generally carried out based on Francophone culture. Meanwhile, there was also a petty dispute between participants who have different cultural backgrounds. In the session 1 ‘No politics without culture!’, there was a confrontation between a French writer Erik Orsenna, a Quebec journalist Denise Bombardier, CEO Crescent Enterprises Badr Jafar from United Arab Emirates and an Indian writer Chetan Bhagat. There was a clash when Jafar launched the Western has “a misperception of the Emirates which is that women are freer than some European …” Bombardier turned to be indignant and retorted “And what do you do Sharia ? This terrifying conservatism where Islam manages daily life, reducing women to laying cloistered at home? …” (3) This was an exaggerated example of misunderstanding and lacks of respect between different cultures each other, but still we can learn a lot from such a conflict about how we can listen to others and understand the idea about different culture when we can make a direct conversation in the age of globalization. Moreover, Bhagat pointed out interesting notion that in India ‘Culture’ doesn’t mean ‘high culture’ as in the Occidental countries. This is common also in China and Japan and we don’t have the same structure for high and low culture as the West. Originally the ideology of ‘culture’ in Eastern countries should have been quite different from the Western one even the gap would have been filled much after the occidentalization in the last century. At the opportunity of the international cultural convention, the difference between cultural ideologies has less discussed until today but the argument should be taken up more in near future especially on the occasion like Forum d’Avignon where various cultural professionals can gather together from all over the world. (Watch the video of session 1 here). All in all, the Forum offered us the precious three days to think about culture and the collateral political and economical issues from many different viewpoints with professionals based on the new surveys. The Forum did not necessarily give us the solution for each issues but each of us got new idea and item to reach the next step for our own sectors. 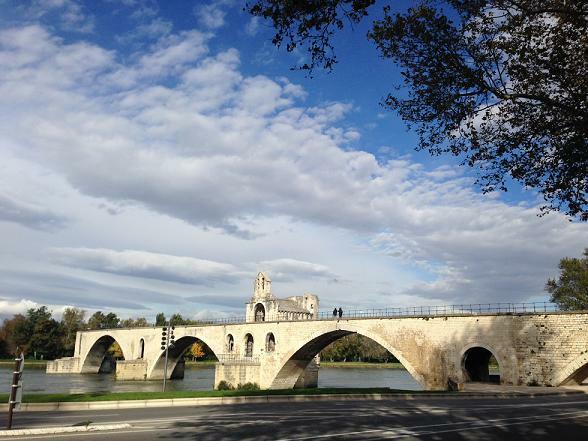 Although the Forum d’Avignon is over this year, you can access to all debates, research and relevant information through the official site of Forum d’Avignon www.forum-avignon.org until the next edition in 2014, the contents will be continued to be uploaded.